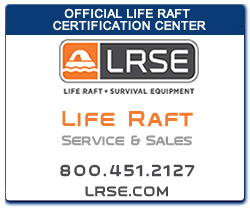 Every boat owner has a winter “boat list” of projects and maintenance as the boat is being readied for the next season. 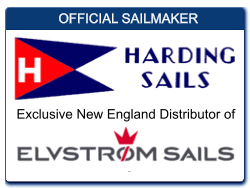 However, if the owner is doing the Bermuda race, the usual winter’s “boat list” has doubled. The celestial boat has some additional preparations that the other boats do not. Some of this additional preparation stems from the fact that we cannot use our electronic instruments. Other preparations come from the nature and practice of the actual navigation. The ORR handicapping system assumes that the wind will blow at a certain strength from varying angles for the duration of the race. Individual yacht’s polars then define how fast she should sail the course and the fleet is ranked against a fictional ‘scratch boat’. This assumption is ‘challenged’ by a variety of race specific climatic and oceanographic conditions. 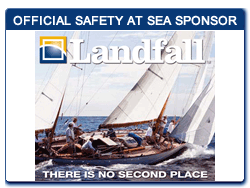 Ocean races of long duration will typically experience these varied conditions. Whether it is wind deflection and strength between inshore and offshore positions, the crossing of a known directional current or the historical location of a high pressure gradient, the likelihood of predictable conditions for an entire race is little to none. Because of these differences, the Marion Bermuda Race is attempting to take one of these conditions that has shown itself to be a real and consistent detriment to what one might feel is a fair race based solely on a boats handicap and include another factor that adjusts across the fleet. In the case of the Marion Bermuda Race (or any race to Bermuda) it is the Bermuda high pressure gradient. 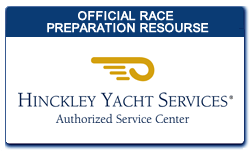 On behalf of the Beverly Yacht Club, Blue Water Sailing Club and the Royal Hamilton Amateur Dinghy Club, please accept our invitation to participate in the 2019 Marion Bermuda Race. This will mark the 22nd running of the Race. It has been a wonderful 42 years, starting from a race that began with two old sailing buddies talking about racing from Marion to Bermuda and inviting their friends, to each boat being tracked through satellite navigation for all the world to follow. It is and always has always been a race aimed at cruising boats and remains so today. RHADC Bermuda- June 19, 2017: Bostonian G.J. “Chip” Bradish and his crew of three—Max Mulhern (Navigator), George Dyroff (Watch Captain) and Peter Sidewater (Crew) topped the overall awards list this year with the performance of his Class D, “Selkie”, a Morris Yachts Ocean. They took home the Founders Trophy, awarded to the yacht with the best overall corrected time, and BYC Polaris Trophy awarded to the yacht with the best celestially-navigated performance.